Chris Menes is a theatre sound designer and composer based in Bristol, UK. Chris’s passion is for creative and immersive theatre sound design. He works closely within the theatre production and devising process to explore the possibilities of sound and music to enhance the performance and help drive narrative. As well as has his theatre work, Chris produces his own experimental electronic music using a variety of studio equipment and techniques. He has recently finished composing his first solo album (available soon!) and occasionally performs as one half of electronic improv duo SatNav. Assistant Sound Designer (Alongside Matt Huxley) for Tessa Bide Productions and Soap Soup Theatre’s ‘The Selfish Giant’ which opened for a month long run during Christmas 2018 at Clapham Omnibus, London, and is touring nationally throughout 2019. Sound design for New Model Theatre’s ‘Happiness Ltd’ which opened at The Bike Shed Theatre, Exeter for a two week run in October 2017 and was performed at Salisbury Playhouse, Theatre Royal Plymouth and New Diorama Theatre, London. Sound design for Soap Soup Theatre’s family show, ‘The Pixies’ Scarf’, which opened at The Wardrobe Theatre, Bristol for a week run over Easter 2017 and toured nationally between 2017 and 2019. Building electronic sound effect machines for Fine Chisel’s ‘Beneath the Blizzard’, which opened Christmas 2016 at the Exeter Bike Shed before moving to The Tropicana, Weston-super-Mare and The Egg, Theatre Royal Bath. Sound design for Theatre West’s ‘The Orator’ written by Marietta Kirkbride and directed by Chloe Masterton which had a two week run at The Acta Centre, Bristol in September 2016. Working alongside Timothy X Atack (Sleepdogs) to assist in delivering the sound design for Lucy Cassidy’s ‘Can You See Me?’ at The Egg, Theatre Royal Bath. September 2016. Sound design for the R&D of Liz Hart’s ‘Mummy Monster’ (Produced by Lady Strong’s Bonfire). Sound design for Soap Soup Theatre’s ‘The Environs’. A walk about festival show which has been performed at Shambala and Boom Town Fair. Operating sound and lights in over 40 venues for the national tours of Soap Soup Theatre’s ‘The Owl and the Pussycat’s Treasury of Nonsense’ and ‘The Snow Baby’. Operating Tessa Bide’s Christmas 2015 show ‘The Melody Makers’ for its runs at The Wardrobe Theatre, Bristol and The Marine, Lyme Regis. 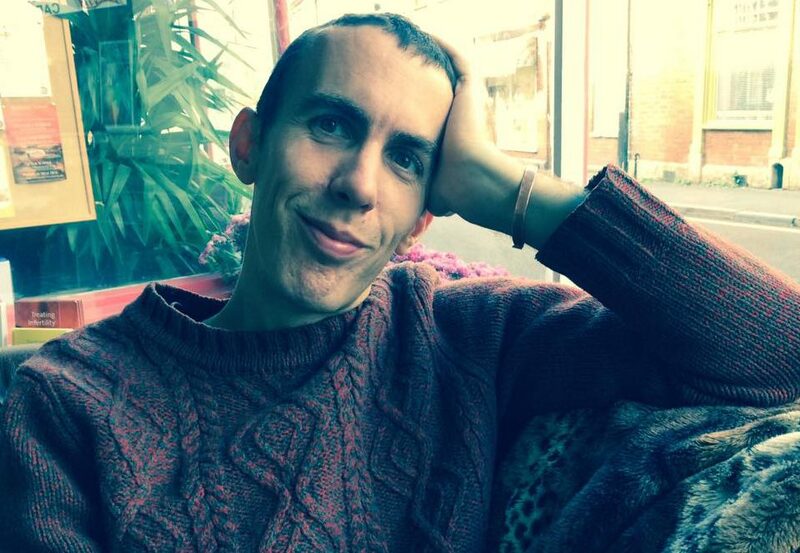 In 2019 Chris completed a Masters in Creative Sound and Media Technology at Bath-Spa University. In 2015 he attended the Sound Design For Theatre summer school at the Royal Academy of Dramatic Art (RADA). Between 2006 & 2010 he was a founding member of Collective-Era, a visual arts collective based first in Oxford then in Brighton. He graduated in BA Fine Art at Oxford Brookes University in 2005.